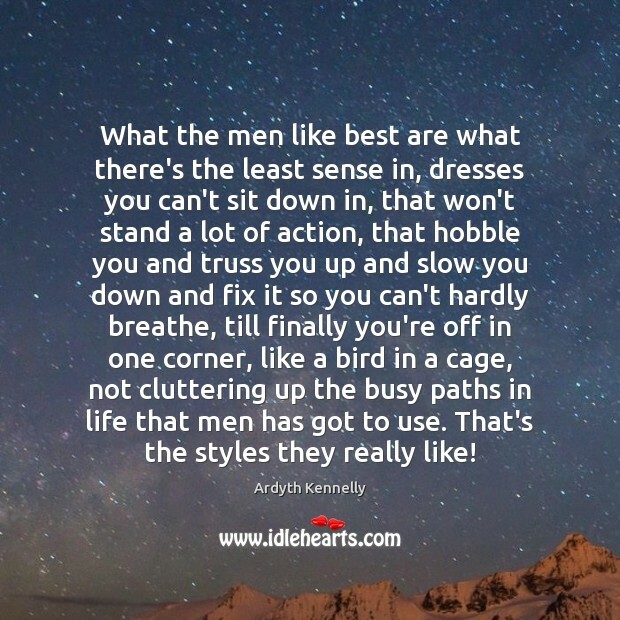 Enjoy the best inspirational, motivational, positive, funny and famous quotes by Ardyth Kennelly. Use words and picture quotations to push forward and inspire you keep going in life! To write it down was to put the finishing touch on any event, see what it was, what it meant, what it stood for. 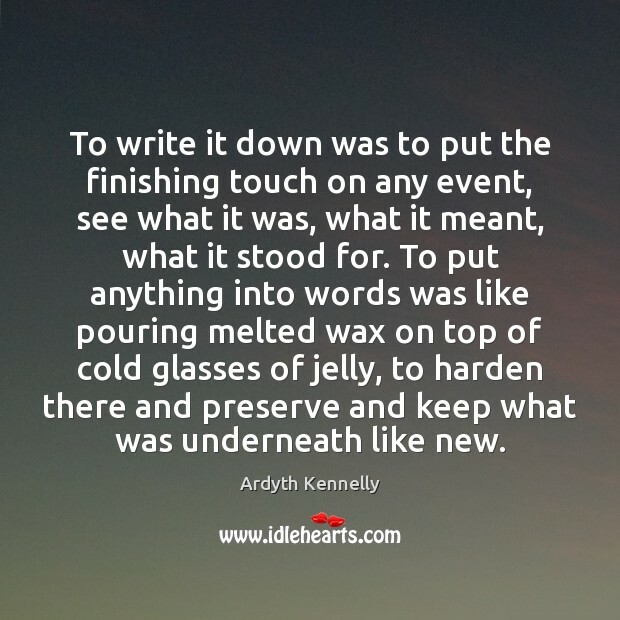 To put anything into words was like pouring melted wax on top of cold glasses of jelly, to harden there and preserve and keep what was underneath like new. 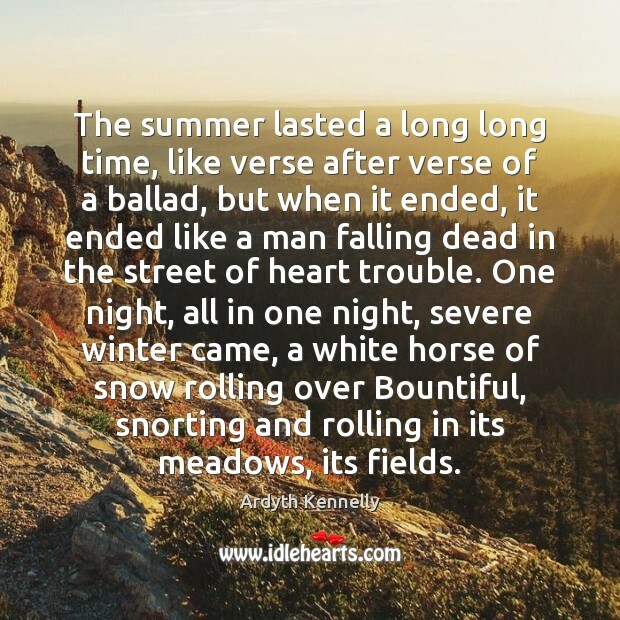 The summer lasted a long long time, like verse after verse of a ballad, but when it ended, it ended like a man falling dead in the street of heart trouble. One night, all in one night, severe winter came, a white horse of snow rolling over Bountiful, snorting and rolling in its meadows, its fields. What the men like best are what there's the least sense in, dresses you can't sit down in, that won't stand a lot of action, that hobble you and truss you up and slow you down and fix it so you can't hardly breathe, till finally you're off in one corner, like a bird in a cage, not cluttering up the busy paths in life that men has got to use. That's the styles they really like! 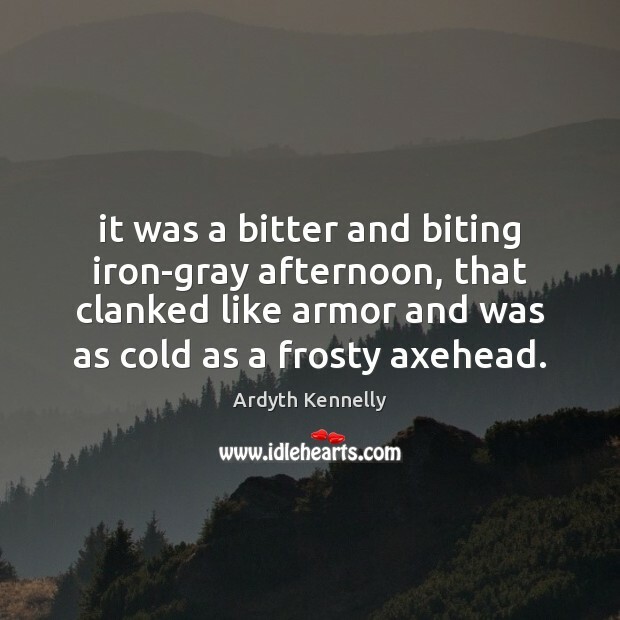 it was a bitter and biting iron-gray afternoon, that clanked like armor and was as cold as a frosty axehead. 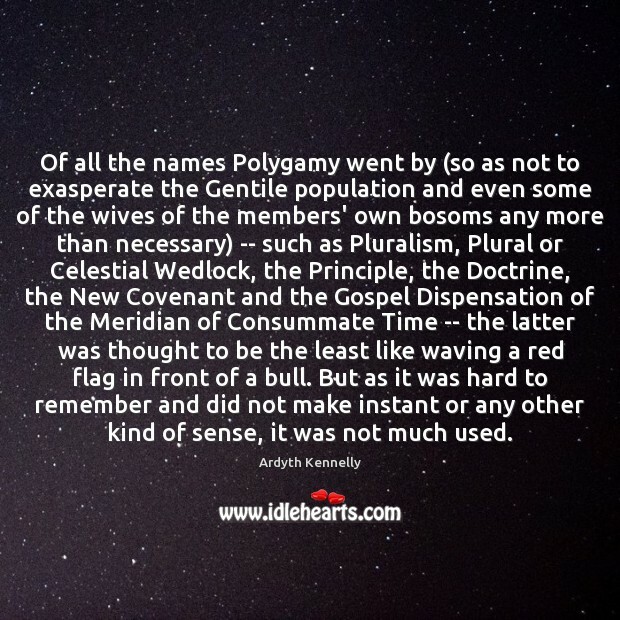 Of all the names Polygamy went by (so as not to exasperate the Gentile population and even some of the wives of the members' own bosoms any more than necessary) -- such as Pluralism, Plural or Celestial Wedlock, the Principle, the Doctrine, the New Covenant and the Gospel Dispensation of the Meridian of Consummate Time -- the latter was thought to be the least like waving a red flag in front of a bull. But as it was hard to remember and did not make instant or any other kind of sense, it was not much used. 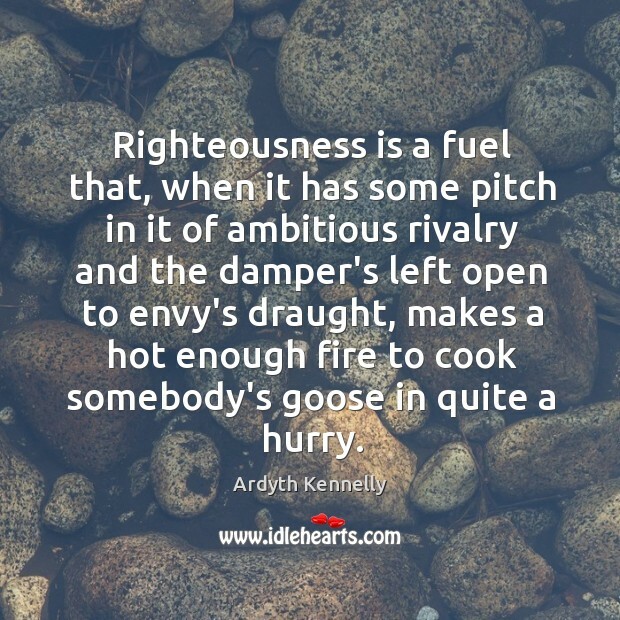 Righteousness is a fuel that, when it has some pitch in it of ambitious rivalry and the damper's left open to envy's draught, makes a hot enough fire to cook somebody's goose in quite a hurry.